Coach serves into GK, who distributes out to CB checking to start position. 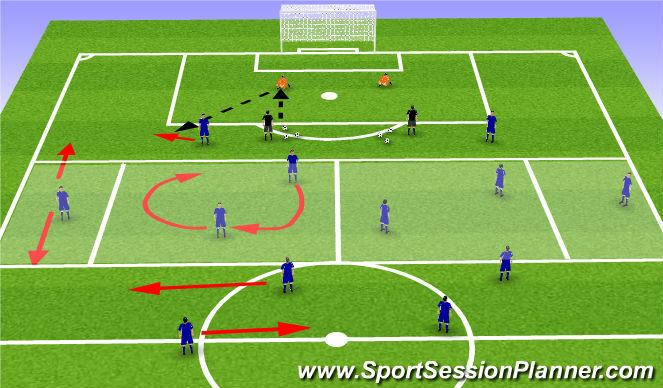 Using other players, be creative in pattern of play with each player touching the ball in the pattern. Back 3 spreads, one recieves ball, back 3 look to play into teammates in shaded area. Play restarts with coach serving to GK on opposite team once play is dead. 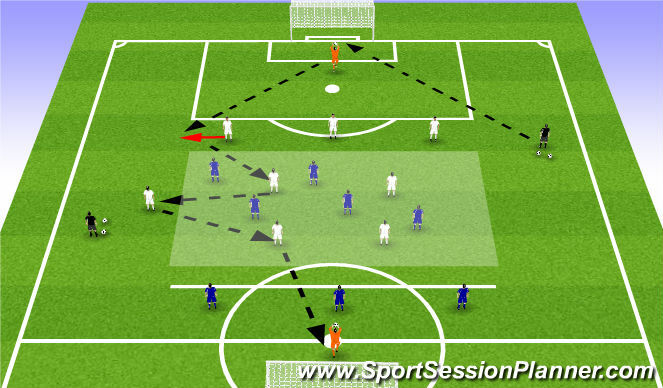 Play begins with coach serving to keeper, who distributes to one of back 3. 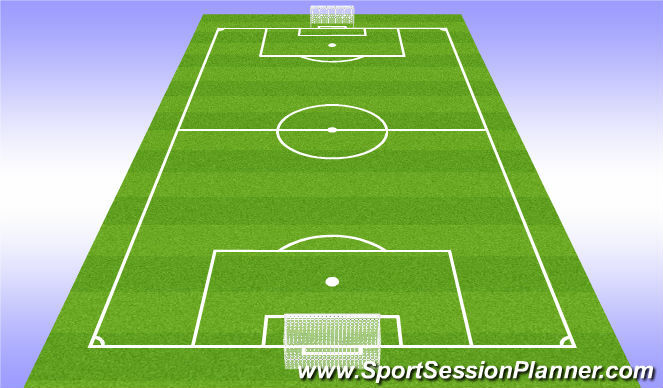 First pass into middle zone is free/unopposed, once ball is in middle zone, all players are live until a goal is scored or a goal kick occurs. Then, plays begins with coach serving to appropriate keeper. Focus on playing out from the back.